Color Me Fatt: Don’t wait for the perfect occasion, wear it NOW!!! I love to dress up. I love all things that sparkle. The holiday season is the perfect time for both of those. I was recently invited to a casual Christmas party. Casual smasual! I was dressing up!!! Glam and glitz on the Nikki menu, for sure. Was I overdressed for the party? YES. Did I care? Not one lick. Did people notice me and comment? Yes. But, because of my size, people usually notice me. If they are going to look, I might as well have the package wrapped in something worth looking at. ;-) I had been waiting for an excuse to wear this Igigi dress and I couldn’t find a better one than “the time to wear it is now”. This dress was an eBay find for around $40. Have no idea how much it was originally, but knowing Igigi it was a lot more. It is a size 30/32 floor length silver dress with a little bit of rhinestone detail at the neckline. 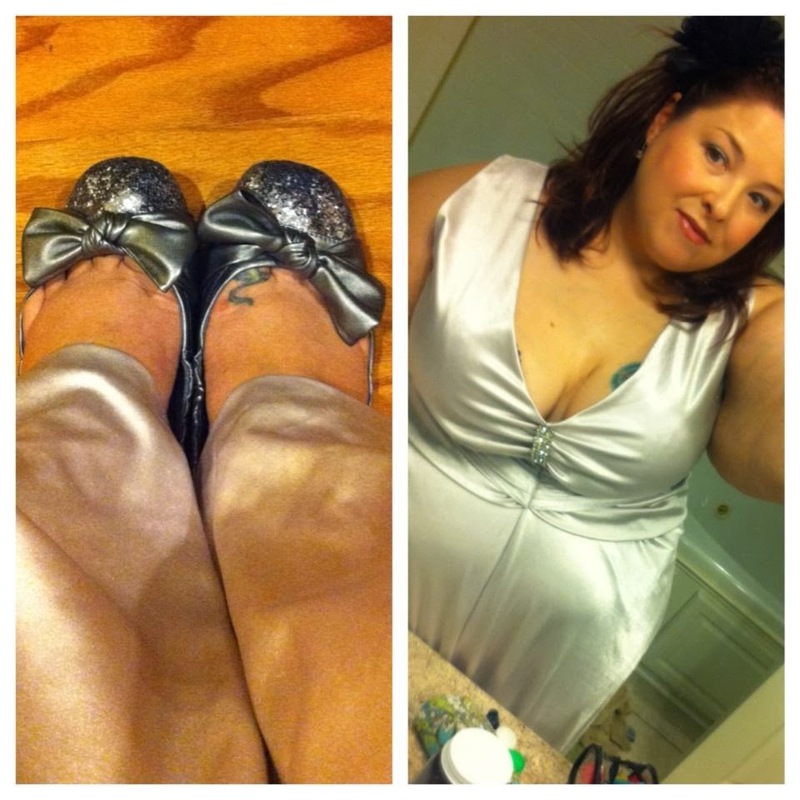 The silver sparkle/bows shoes are from Marshalls. Yisssss. Wear. It. Now. Love your party dress. ^Loved that! You look darling, Nikki!